Founded by Karl Hacker. Start of production of connector assemblies in a rented hall near Plattling. Start of CNC processing with lathes. 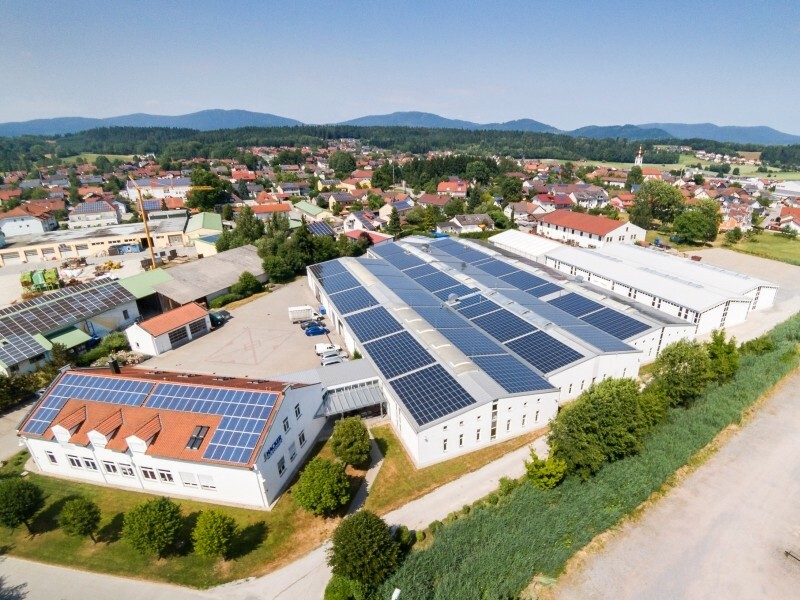 New construction and relocation into a new, owned building in Offenberg-Neuhausen. Purchase of the first CNC Swiss-type lathes. First 1,000 sqm expansion of floor space building an additional hall. Purchase of the first CNC milling centres. Commissioning of the first CNC lathes with opposing spindles / y axis. Introduction of the first ERP system in production planning and control. Introduction of SPC measurements in production. Foundation of the subsidiary Mikrotech s.r.o. in Považská Bystrica (Slovakia). First certification of quality management system according to DIN EN ISO 9002:96. Introduction of CAD/CAM with Unigraphics software. New hall construction in Neuhausen with an additional 1,000 sqm of production and storage floor space. Introduction of the ERP system Infor COM. Introduction of the CAQ software Babtec. Indoor extension of our hall in Neuhausen (Offenberg) with an additional 2,000 sqm of production space. Start of high speed cutting on Makino milling centres. First certification according to DIN EN ISO 9002:2000. Construction of a new hall in Neuhausen (Offenberg) with additional 2,000 sqm of floor space. Purchase of the first 5-axis milling centre. Purchase of business premises and buildings in Slovakia. First certification according to DIN ISO 9001:2008. Purchase of one of the first Star ST-38 CNC Swiss-type lathes on the German market. Expansion of machining possibilities in Swiss-type turning for parts up to a diameter of 38 mm. Start of in-house laser marking. Purchase of the combined CNC turning and milling centre Traub TNX65/42. Purchase of the vertical 5 axis processing centre Makino D500 with an Erowa robot pallet changer. Introduction of 3D printing. Extension and renovation of 1,000 sqm of floor space in Slovakia. Construction of a new hall in Neuhausen (Offenberg) with an additional 2,000 sqm of floor space. Certification of our quality management system according to ISO 9001:2015. Together with the increased floor space built in 2017, the departments of Swiss turning, small series / special production, training and logistics were expanded. The renovation of another hall has been completed and the assembly department has moved into the improved facilities. Thus, our floor capacities for assembly were more than doubled from approximately 225 sqm to more than 550 sqm. As a result, the company is ready for further growth in assembling mechanical components.